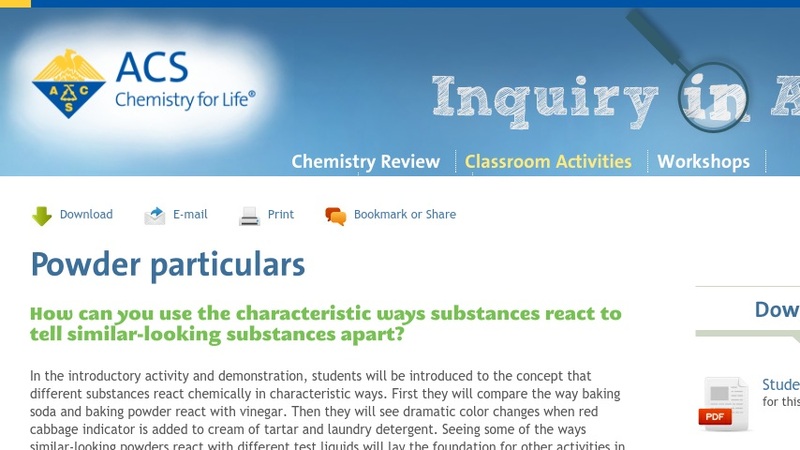 In this activity, students will be introduced to the concept that different substances react chemically in characteristic ways. First they will compare the way baking soda and baking powder react with vinegar. Then they will see dramatic color changes when red cabbage indicator is added to cream of tartar and laundry detergent. There is a downloadable activity sheet that will be very helpful to educators, and will help students stay on track. An assessment sheet is also available on the activity page to keep track of students progress. There is also a step by step guide as to how to perform the experiment, and how to introduce it t the students.